Airport Runway Closure Marker, is made of durable "yellow", UV treated 1000 denier, vinyl laminated nylon. Plastic grommets every 3 feet for stakes or attachment to sandbags. Airport Safety Marker has 2 pieces that are needed for an "X". *Price is per "X". View all available airport safety products. 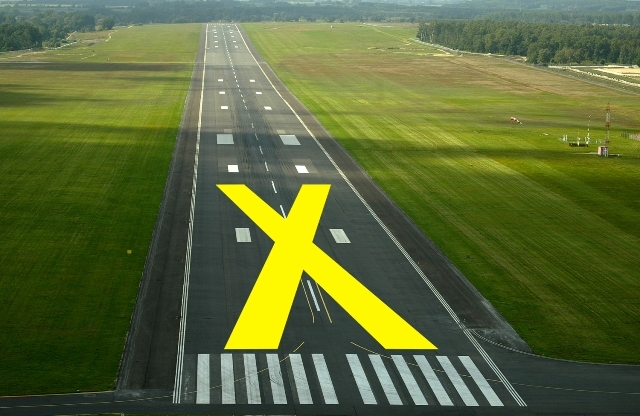 Y5X30 $278.95 Yellow, 5' x 30' Taxi Closure Marker,"X" Y10X60 $390.00 Yellow, 10' x 60' Runway Closure Marker,"X"